Bullet style infrared PTZ camera is the perfect choice for anyone wanting the versatility of a PTZ camera but not the large size. All the functions found on full sized PTZ cameras along with 1080p HD resolution and 10X optical zoom. The camera uses COC (control over coax) so there is no need to run separate RS485 wires for the PTZ function. The PTZ control and menu access are transmitted through the video cable and controlled by our HD-TVI digital video recorders. 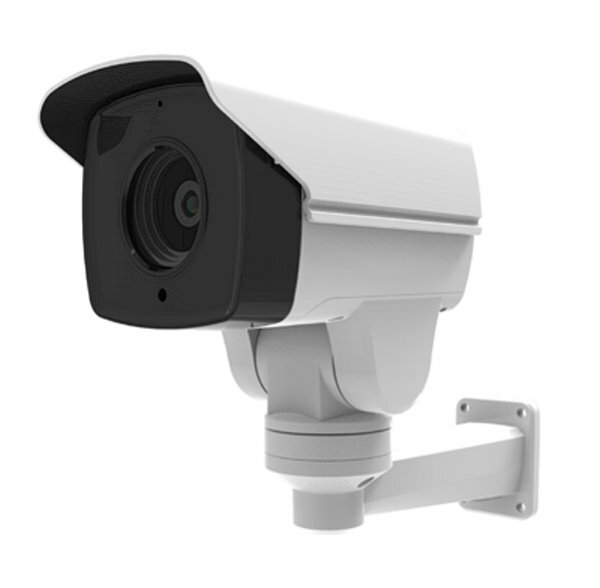 The bullet PTZ camera provides full color images during the day or adequate lighting and black and white images at night with LED illumination to maintain image quality. The large LEDs located under the blackened front plate provide very bright and full coverage infrared illumination up to 100 ft. in total darkness. The IP66 weatherproof housing makes it suitable for all outdoor or indoor applications. Infrared LEDs: 2 pieces large matrix, Infrared range up to 100 ft.